What Is a Concrete Drill Bit? A concrete drill bit is useful during construction. Each concrete drill bit manufacturer uses a specialized locking system that holds the bit inside the chuck of the drill. A concrete drill bit is a tool used to cut holes in dense materials like concrete, stone, or masonry. While traditional wood bits are often too fragile to cut concrete effectively, concrete drill bits are made from very hard, durable materials that can hold up to the demands of masonry. These bits are often used with special drills designed for use in masonry work, including hammer or masonry drills. A concrete drill bit may also be known as a carbide tip drill bit because of its carbide construction. 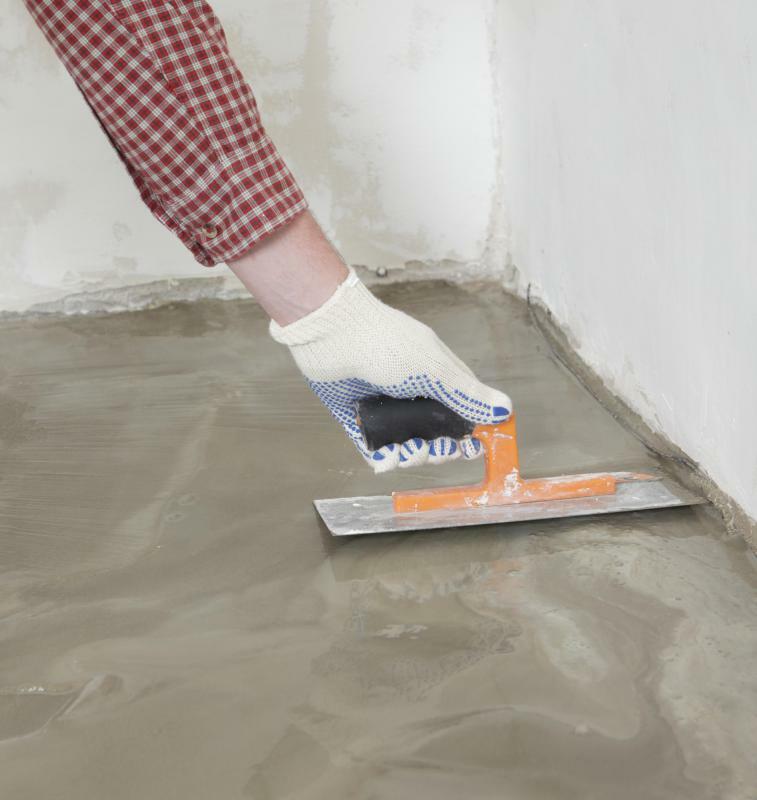 Contractors frequently have to drill through concrete or stone when constructing or renovating a building. A concrete drill bit allows the contractor to cut a hole in a basement floor to fit a drain, or fasten a railing to a stone patio. These bits also play an important role in helping the builder cut holes in concrete or block walls in order to accommodate pipes, wiring, or ductwork. Homeowners may need to use a concrete drill bit when hanging a picture or other object on a masonry wall inside or outside of the home. Drilling into concrete using a standard wood bit can result in a variety of problems. The bit could break, or the drill's operating mechanism could be damaged. If the bit is able to cut a single hole successfully, it could still overheat and become damaged if used for multiple cuts. Concrete drill bits create much cleaner, sharper holes in masonry, and are also designed to clean debris out of the hole as they cut. They are typically made from carbide or carbide-coated steel, which is better equipped to stand up to the heat generated during concrete drilling. 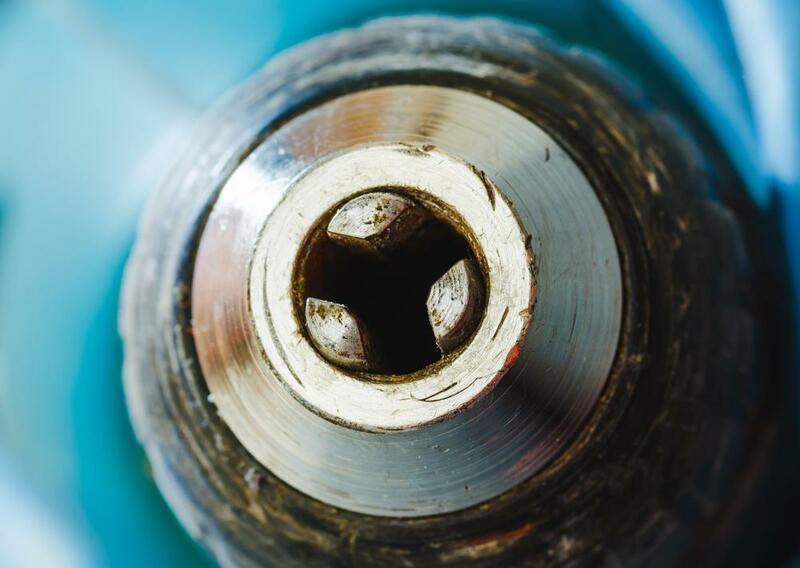 Each concrete drill bit manufacturer uses a specialized locking system that holds the bit inside the chuck of the drill. This means that many bits and drills are not interchangeable with one another. Special concrete bits often won't fit within a standard wood drill, for instance. Some concrete drill bits are designed for masonry drill, which combine hammering and drilling actions to drive the bit into relatively soft or shallow masonry materials. Deep holes or very hard materials may require the use of a larger rotary hammer, which features a much more powerful motor to create cleaner holes with less effort. Manufacturers make three basic kinds of concrete drill bit designs. Bits with a shallow flute are made for relatively soft materials, like brick or limestone. Those with a deep flute work better in concrete and other dense, hard materials. The deep flute helps to clean out the hole more effectively then a shallow flute. A concrete drill bit with a straight shank is designed for use in rotary hammers rather than the average masonry drill. What is a Diamond Drill Bit?